I need to inform you of something, ma'am," said "Prankster." "I want you to understand that you just drank that man's urine." 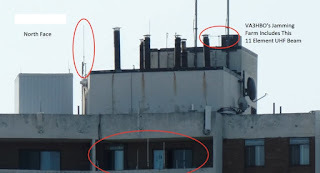 We will have many talks with the building owner to remove the antennas. Contact his Bedbug building to report abuse !!! Remove / Delete the websites !!! See "The Word On The Street" below. Included is audio clips taken from commercial repeater frequencies, HAM operator(s) conversations, the audio intercepted over a Business Company repeaters. The ramifications of an Amateur Radio Operator actively using frequencies outside of the HAM band is steep and could include the forfeiture of ones Amateur License and privilege. Available for this subject is 45++ hours of recorded conversations. The other data points include many years of use by a small number of Amateur Radio Operators in the Southern Ontario that include the use of Commercial Repeaters over many years, these data points collected are being interrogated. Here is to hoping passive denial resolves our city's issues. This is hoping we can all be clear of the time and resources that is shared by many individuals that are trying and are devoted to securing the purity of the Amateur Radio hobby in the city of Toronto Canada. *** please take action on this information, escalate, do your part to stop this criminal activity and abuse ! Police from several jurisdictions are investigating separate incidents, but at the time there is no word if the RCMP or FBI will begin a full-fledged Pranknet investigation. VE3IPS Duplicated Content (complete website) is More than half 50% copied. The Reason For The Repeater Shut Down of The Toronto CANADA. HAM RADIO - The Reason For The Shut Down of The Toronto CANADA Repeaters. 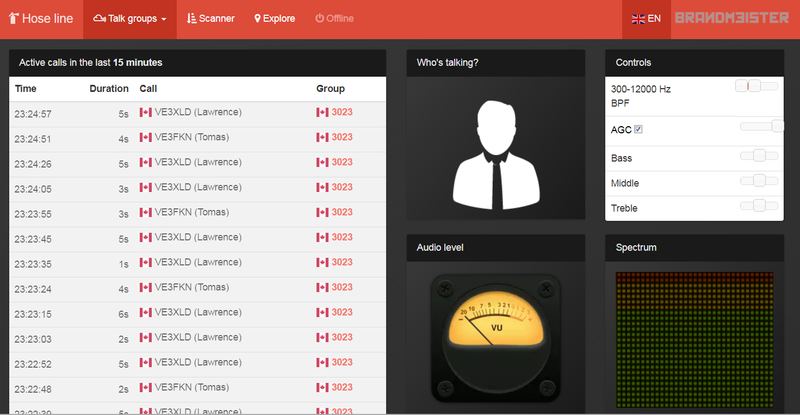 Encrypted Criminal Activity: Canadian HAM Operator(s) using Business Repeater(s) UHF Capacity Plus Encrypted Conversations in Southern Ontario Canada for 20 years. 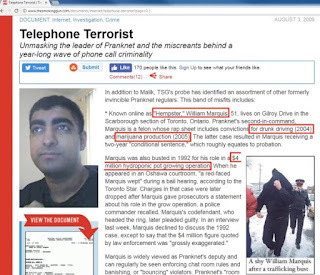 This information highlights illegal And nefarious activities for many years in the Toronto area of Canada and the Criminal activity that is monitored. NOTIFY | REPORT THIS ABUSE :: THE BUSINESSES THAT OWN THE REPEATERS EXPLOITED, THE COMPANIES HAVE BEEN NOTIFIED. This shared proof represents just a small span of 'criminal' time. All events have been collected from the active monitoring. It is intercepted 40-bit encrypted communication [a small span of time] of the 17abt years in Toronto by HAM Radio operators communicating on UHF Capacity Plus system frequencies illegally in Toronto on exploited Business Repeaters. This is their initial voice traffic, recorded on Friday, November 3, 2017. 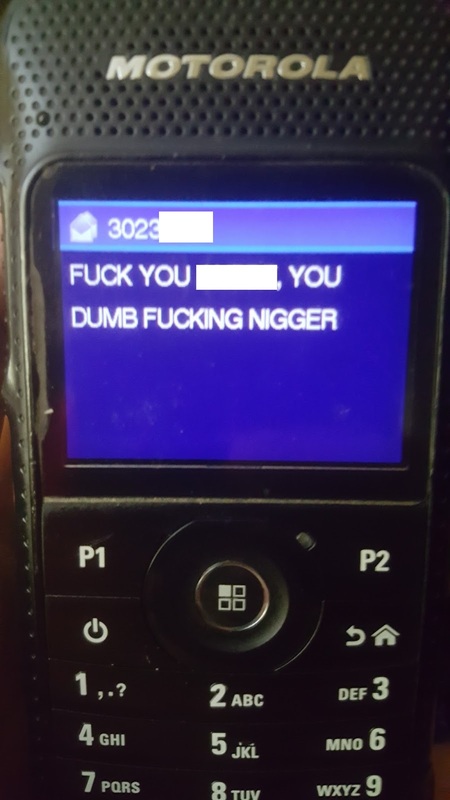 On DMR-MARC Canada wide, nefarious VA3HBO said "People who know me call me William" but this audio proves he was lying. Lying is a common theme with VA3HBO. It is also clear from the audio that they're on a Capacity Plus system and that it's owned by 'the company name' and that they are exploiting it illegally. 4:15 it's not digital it's Capacity Plus, Mr. Bill, not conventional! 10:10 make it talkgroup 250 ! 16:05 VE3HBO we are making up two encryption key, one for tony VE3DJZ and the nig. to. So we were contacted by a woman to share this information. Feed your children DJ, stop bragging about your IC7100, NX5300, XTS8000 ... the comments are saying. September 16, 2017, VA3HBO committed felony stalking by illegally flying his drone in close proximity to buildings, vehicles and pedestrians (in violation of Transport Canada rules) in order to peer into a home and then later create his stalker videos. 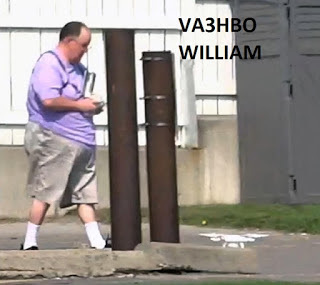 Unfortunately for VA3HBO, he lingered far too long (about 30 minutes) at the scene and was discovered hiding across the street from a home, operating, landing and retrieving his drone.VA3HBO William Marquis has a long history of amoral, illegal, sociopathic behavior and he continues down that path today and will continue to do so in the future. The recent hostile Amateur HAM Radio daily abuses started October 08 2017 DMR-MARC (VA3XPR repeater TALKGROUP #302) from 21:00 - 22:00 using A cloned CCS7 DMR id to play recordings and send DMR text messages (15). the DMR id number was most likely cloned. VE3IPS / VE3DJZ / VA3HBO / others included in this feeding frenzy. 0:20 VE3DJZ whining like a child: "be a man", "but you dont have the nuts to show up"
0:32 VE3IPS but name is not going to show up. 1:30 the rant goes on, that other ham VE3DJZ still does not understand he was taken because of lies. he PAID for a ham ticket and did not have to write the exam., could not answer "basic" any questions on the exam !! 1:30 VE3DJZ name started this whole "entourage" ?? ?, name brings it on to himself. what ? 2:00 VE3IPS long excuses ! how he got paid $200, as a (ham Examiner) is a FREE role not to be exploited for money !!! 3:00 VE3DJZ shame on you name, shame on you --> or VE3DJZ Huey Salmon Hamiltons Women shame on you, feed your kids as the comments say. 4:00 VE3IPS - to end is trash, not worth listening to !!!! VE3DJZ ---> to the end of the recording is trash, not worth listening to, all a farce !!!! - I am more of a friend with the coffee or garbage man that I see more often weekly. Please educate this school yard ___ that is looking for friend(s). My friends are chosen for moral and ethical values, this individual was/would Never be as claimed! ( hate website VE3W ZW.cXm ) - SLANDEROUS ACCUSATIONS. So we are clear John VE3IPS pocketed $200 cash as the examiner. The money handed to VE3IPS the examiner for a HAM ticket. VE3IPS delusional justifying and skirting the facts or blatant lies. WE ARE EDUCATED TO UNDERSTAND THIS IS A VOLUNTEER FREE ROLE. Examiner : someone simply has to provide a form and mail the form(s) to the government FREE. 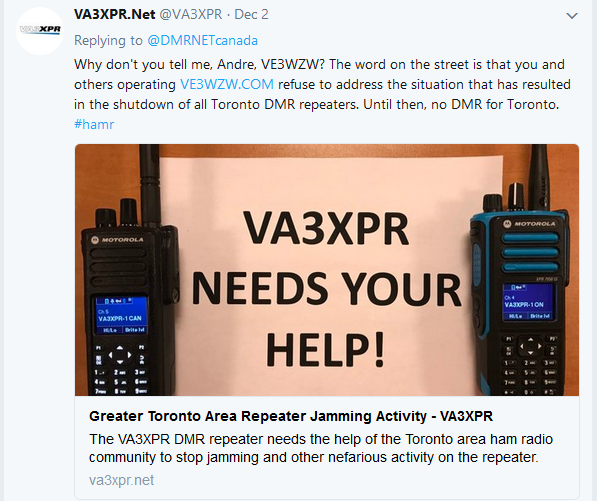 In Toronto Canada we have a nefarious group causing anarchy, disparaging hams and alienate the ham community (Hostage) #hamr #hamradio #repeaters #shutdown #criminal #NotGoingToAccept https://torontorepeaters.blogspot.ca/ !!! Here is to hoping passive denial resolves our city's hostage issues. This is in hopes that the wrongful claims by VA3XFT Don Trynor VA3XPR on some little twitter social media does not associate the call-sign and person with the nefarious disturbances and criminal activities in Toronto Canada. Let us be clear! 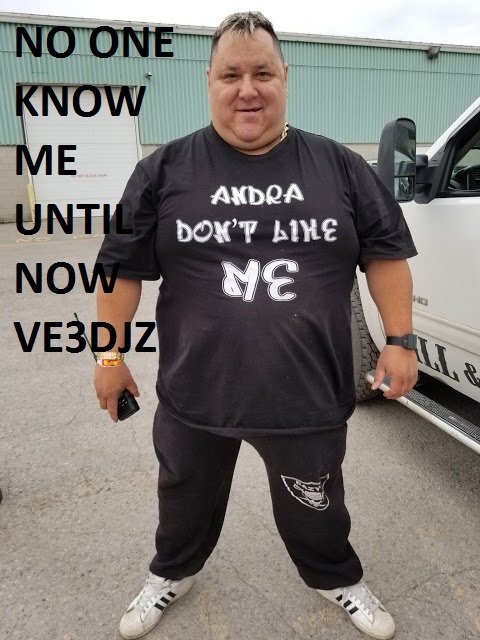 The attacks on VE3W Z W Andre are uncalled for and Slanderous Accusations (bad and wrong). The person and Canadian call-signs of VE3W Z W Andre is NOT associated with any of the trash, low life, ghetto scum, criminal activities in the city and county of Canada or the planet! It was disturbing to read a public [Twitter] accusation about the nefarious disturbing and criminal actions by degenerates in Toronto CANADA. The public Twitter message that did not seem to understand the group that is responsible for the abuses and nefarious disturbances in Toronto Canada. Let us educate ourselves to the nefarious abuses and criminal activities and because we may be afraid or dismissive, let us not accuse or associate the wrong individuals with nefarious disturbances or criminal activities. It may be irresponsible to make claims that are inaccurate. We wonder if it may be prudent or be a respectable action to consider an apology here? @VE3W ZW : In Toronto Canada we have a nefarious group causing anarchy, disparaging hams and alienating the ham community #hamr #hamradio #repeaters #shutdown #criminal #NotGoingToAccept http://ve3twrabuse.blogspot.ca/ !!! Please be WARNED links on the VE3WZ_.cXm are Dangerous!! We understand the attempt to try to discredit !! !, right ? 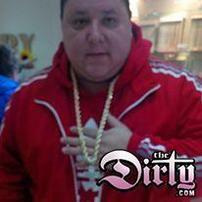 FRAUD : my "Name" is used by CRIMINALS on some child-like website! 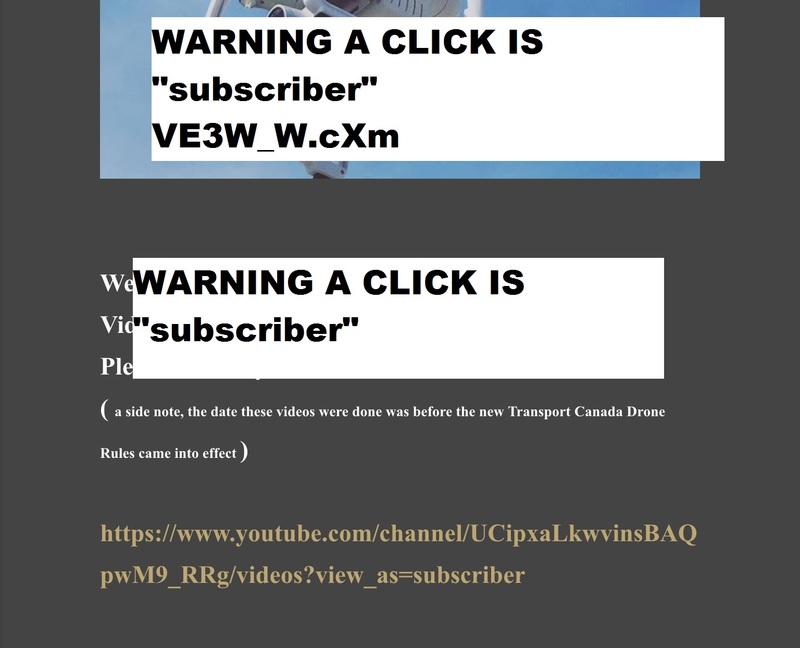 "Extortion"
Phishing websites ve3wz_.cxm : Clickbait website Fraud and Fake claims on ve3wz_.cxm made by degenerates in Toronto Canada. 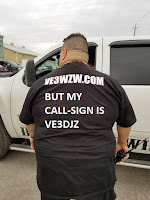 The website exist as ve3wz_.cxm domain NOT associate to call sign owner and contains childish trash, the website is owned by proven criminal(s) that no one wishes to associate with in Toronto Canada, except on the one (1) cb style repeater that has the frequent clan of other degenerates. The entire website is filled with the hatred and views from the same (4-5) persons posting over and over with the fraud and fake abusive content on the ve3wz_.cxm domain. We wish the two1 two2 fat bastards and group would do something in the outdoors and get some exercise, because they have been abusing Toronto repeaters for far too long. 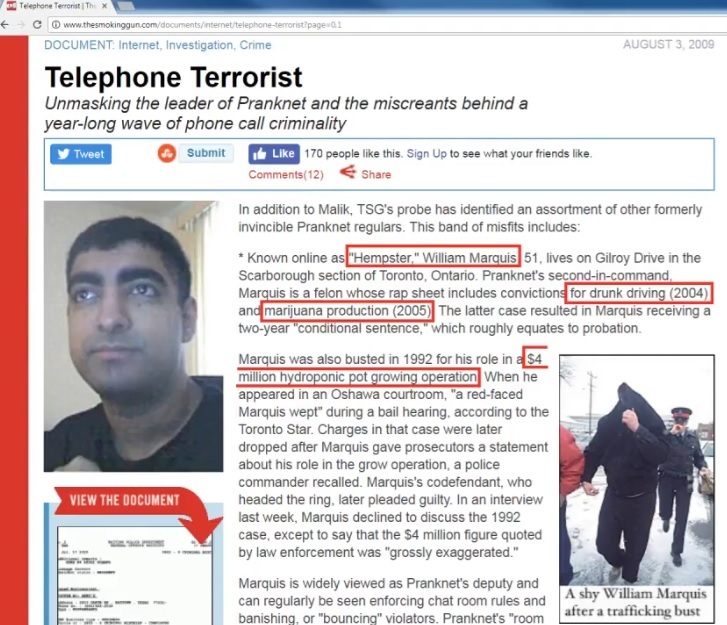 It was noted that the fake website as explained here was purchased by the criminal(s) as detailed within the blog1 blog2. WARNING A CLICK IS "subscriber"
FRAUD : my NAME IS USED BY CRIMINALS on some child like website "Extortion"
Andre V_3WZW, "Any claims of names or call-sign(s) on that website is slanderous and fraud (all false). I do not access any phishing (fraudulent) websites and do not endorse the trash on or associate with any of the degenerates that post on that website. 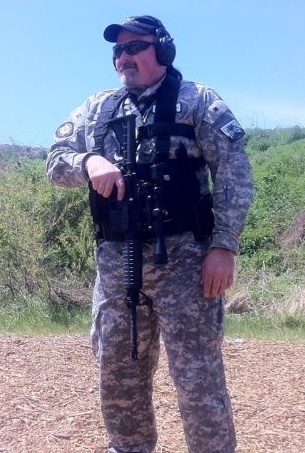 So any claims on that website are NOT me"
Until recently I had never met this guy on the air or otherwise. Now for NO reason I can't fathom he seems to have some sort of problem with me. I have never had any interactions with him on the air or in person. I have searched my logs and he isn't even in my log book. Until last month I never even heard of the guy. I suspect that it has something to do with my voice, or the fact that I have volunteered as net control on the Trans Canada DMR net. The DMR Trans Canada net is a public service net dedicated to testing and training. Seems this is enough to invoke his wrath. This is a shame, as I have never met a fellow ham operator who is not friendly and helpful. This most definitely not the case here. He now is attacking me and maligning me every chance he gets. Why he dislikes me I can only guess. I have discreetly asked around and it would appears that he has been known to attack anyone who so much as speaks to anyone he considers his enemy. His M.O. 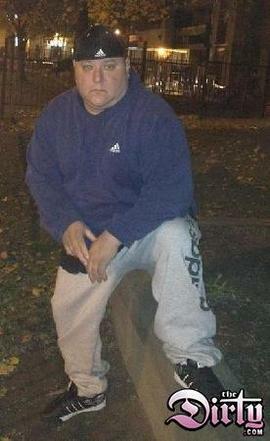 is to post in every blog he can, messages that certain people are engaging in hate crimes. He like to come off an innocent nice guy that has been the subject of hate crimes, and then proceed to attack anyone on his own hate list, which must be massive. Luckily they are few and far between. These personalities are normally found on the GRS band. It has always been my policy to completely ignore LIDS that I sometimes come across on the air. I am only writing this as many of my friends have warned me about these posts and on air comments that have been left about me and others. Take a close look at the picture above and decide for your self. To all my friends, thanks for the support and see you down the log. HAM Radio Canada selling domains for amateur radio operators. 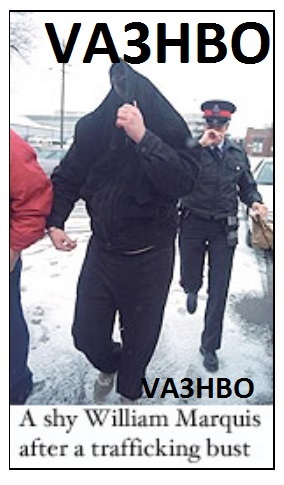 "Extortion"
Harry 03:31 - Don't forget to ad(sp) va3agv.ca is also your call-sign for sale. contact va3hbo or ve3djz for call-sign resellers. Domains sale for the Canadian Amateur Radio call-sign are being sold by some recent CB operator(s) turned HAM radio operator(s). The domains purchased a month ago and include all call-sign that have been registered for more than a few decades. The price $$$ for the call-signs domains are TBD. "Extortion"
All call-sign are/and have been registered for many decades. Recent month domains are now owned by CBer turned HAM operators to use "Extortion". The following domain names : "Extortion"
FULL DETAILS INCLUDED BELOW with pictures. Pay this Accredited Examiner John Leonardelli VE3IPS $200.00 for a HAM ticket and get "ADVANCE HAM" like HUEY VE3DJZ recent weeks now has Advance and Basic license. Advanced VE3DJZ :: Ask him 10 basic questions from just the "basic exam"? VE3IPS / VE3DJZ / VA3HBO / rod / other included on this feeding frenzy. REAL SICK !! Wow, A lot of hatred, what a crock of lies. 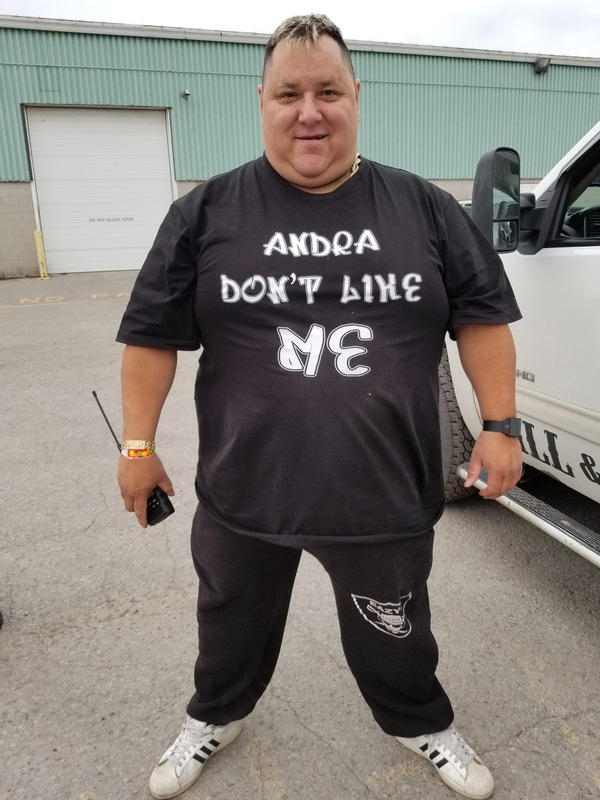 Paid $$$ and own for 9 domains of my 10 year FEDERAL CANADIAN CALL-SIGN .... paid for T-shirts see picture -SICK, but he can not spell ! !